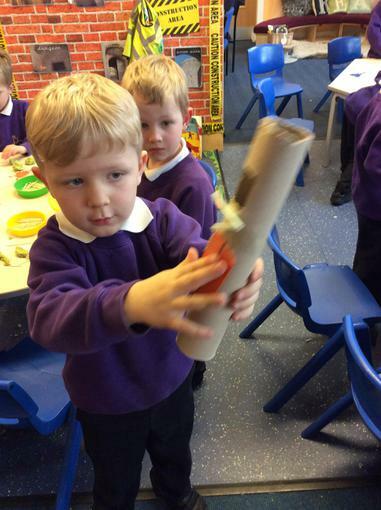 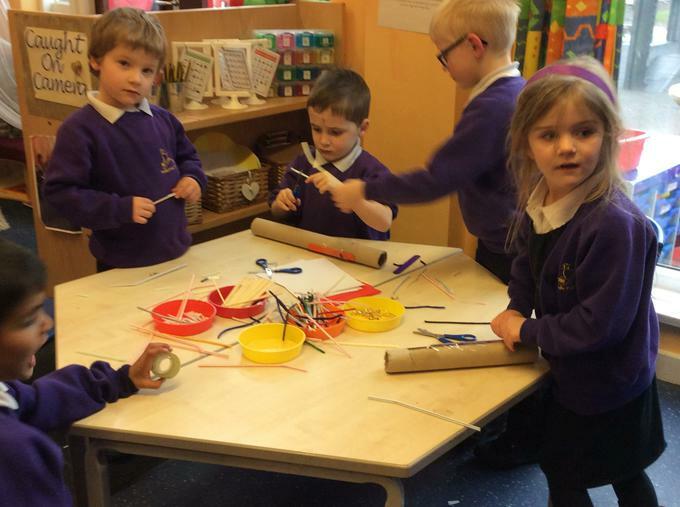 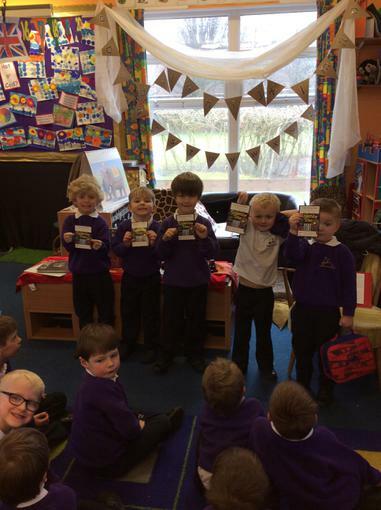 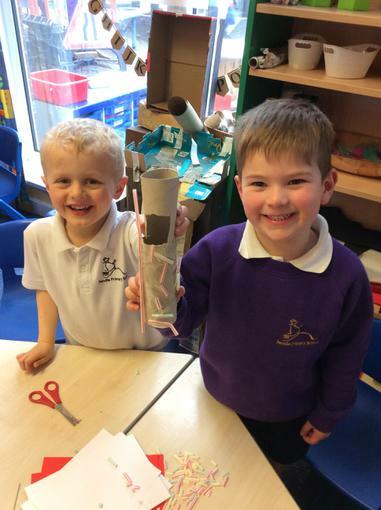 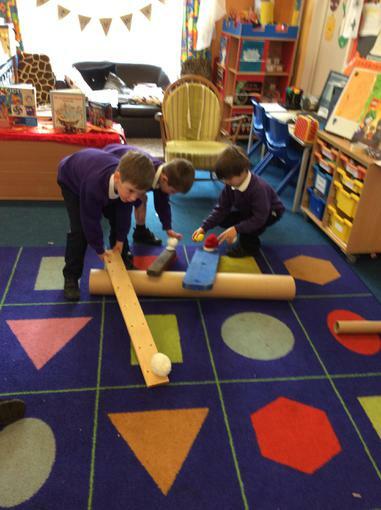 Cannons, Catapults and Tower Challenges. 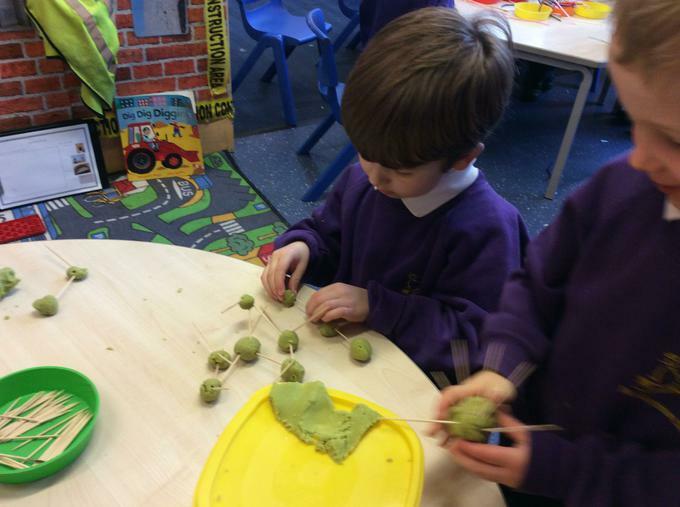 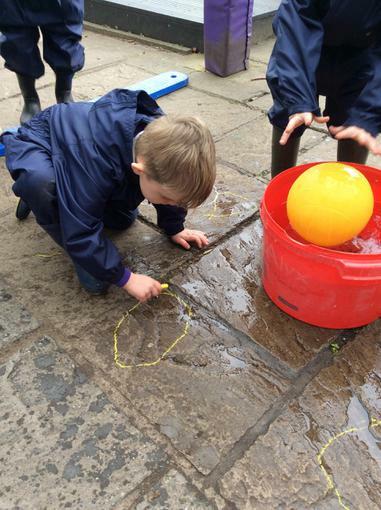 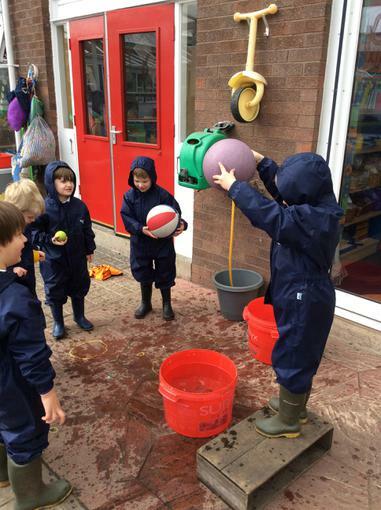 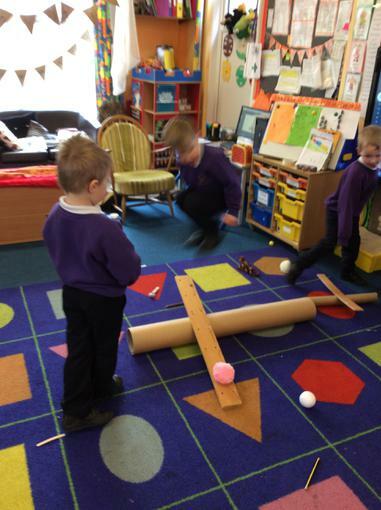 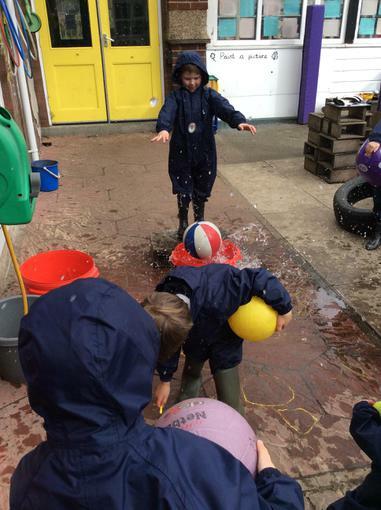 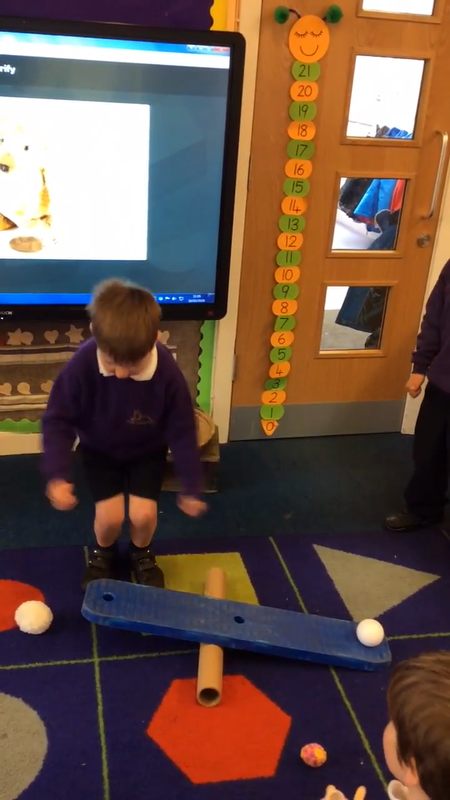 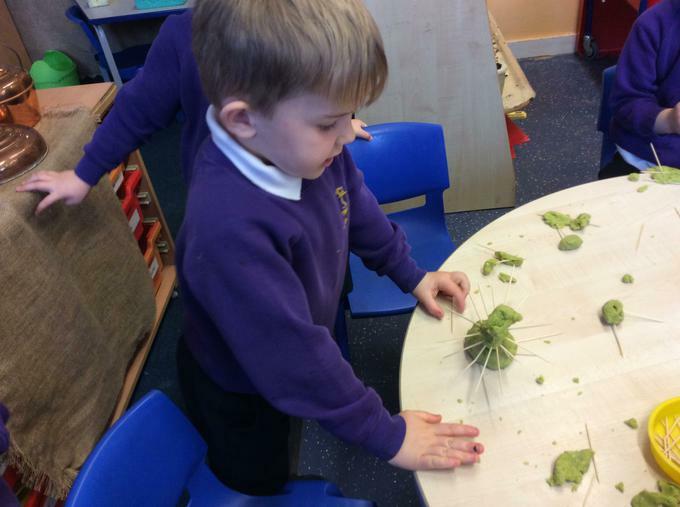 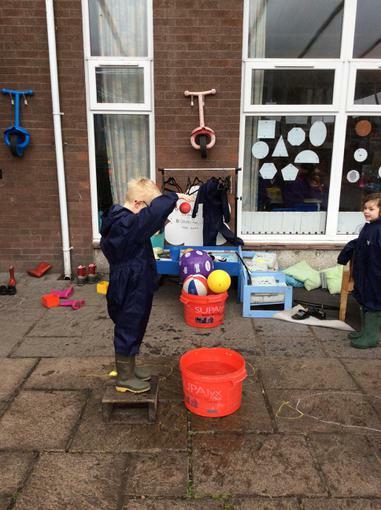 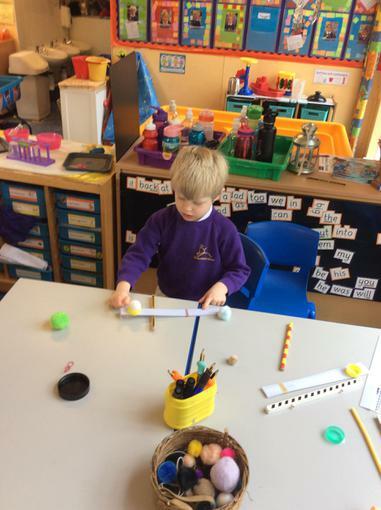 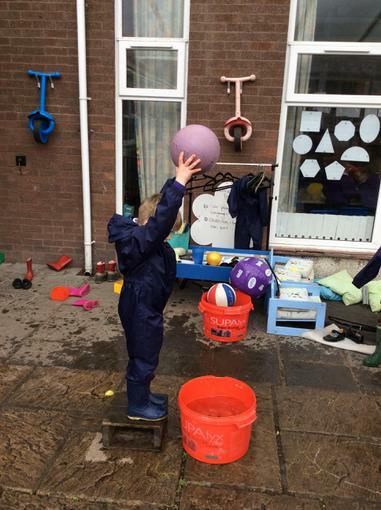 During the morning the children had fun investigating with 'canon balls' and catapults. 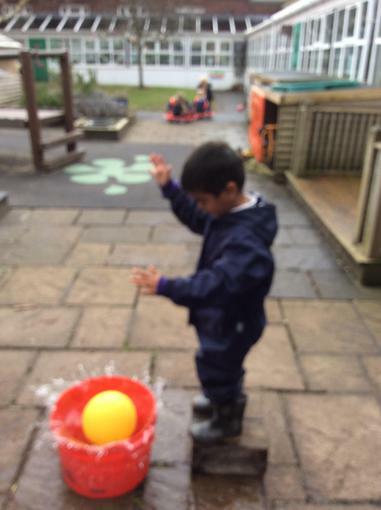 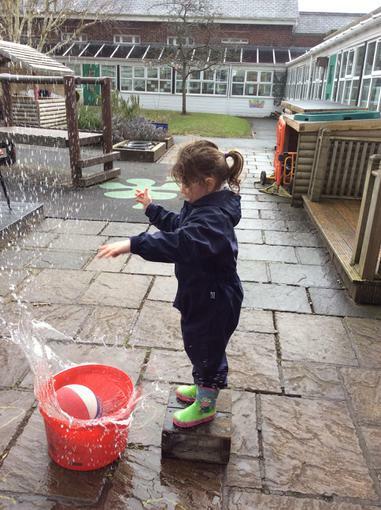 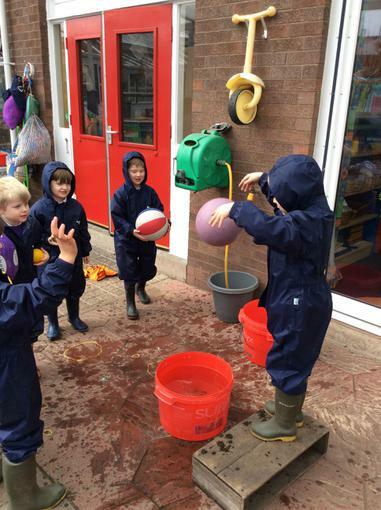 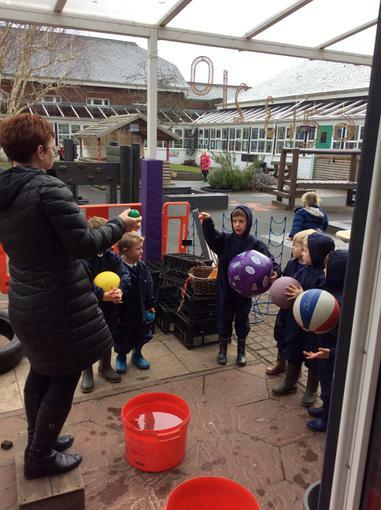 Predicting and testing which cannon ball made the biggest splash? 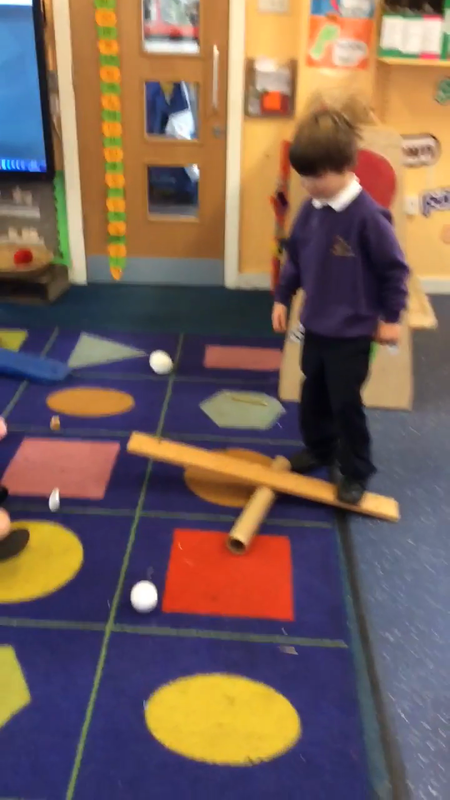 ...Why? 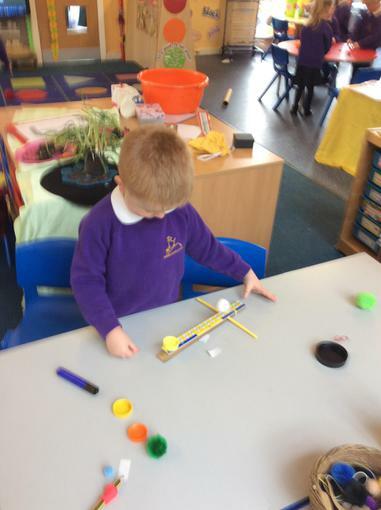 We made catapults to fire at our model castles and observed what happened if we adjusted the catapult levers. 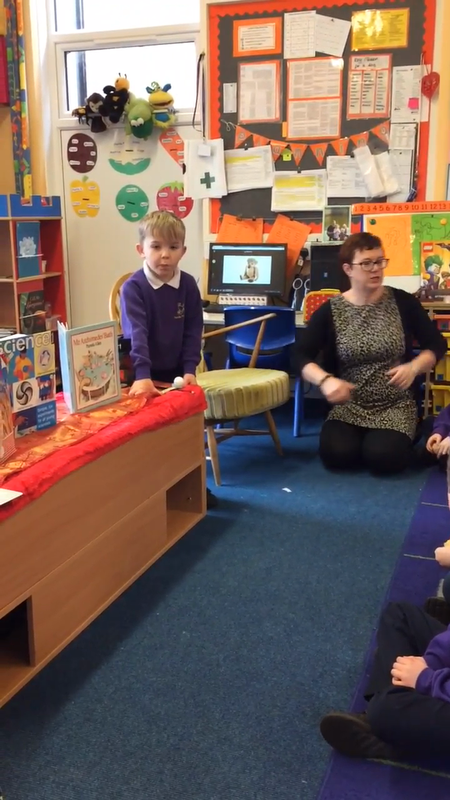 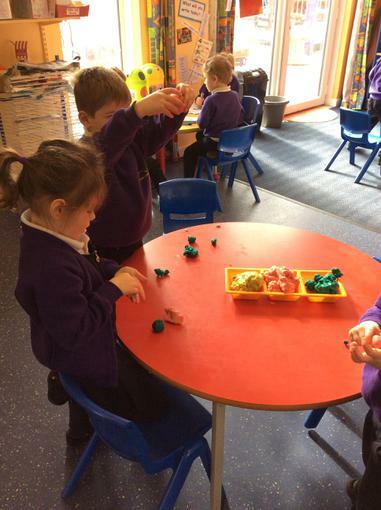 What happens when we you drop different playdough cannon balls? 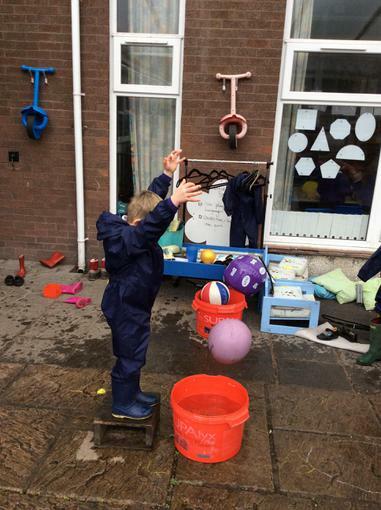 Which playdough made the best cannon ball? 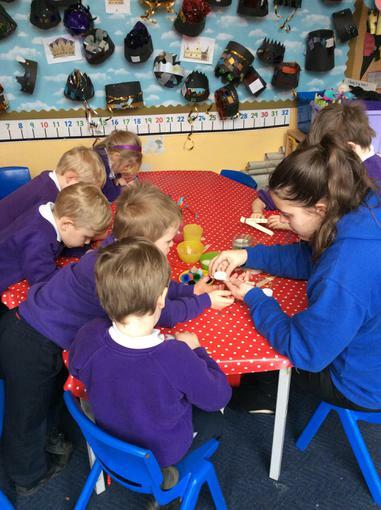 ...Why? 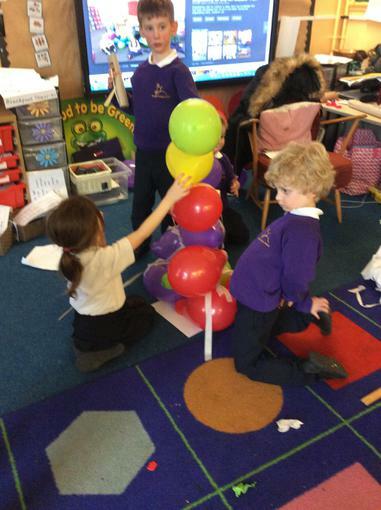 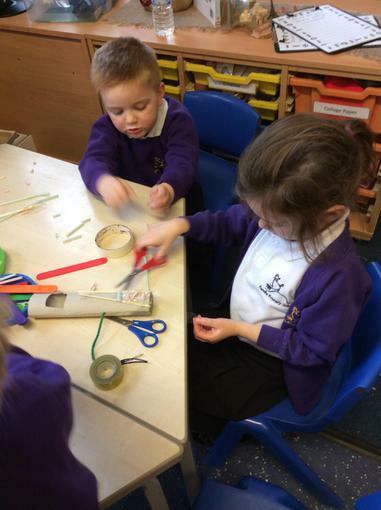 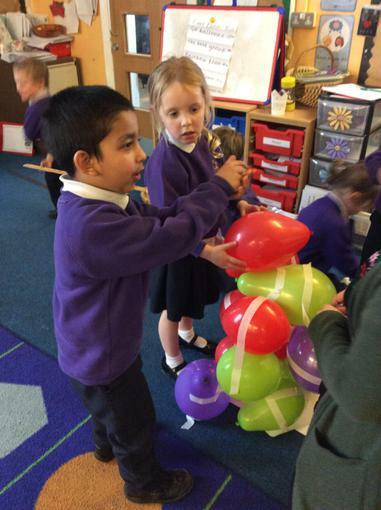 In the afternoon we swapped with 1RL and worked in teams with Miss Lancaster trying to build the tallest balloon tower and designing ways to rescue Rapunzel from her tower.